Welcome to Finance & Fury, the Furious Friday edition. To start this episode, I want to say just how incredibly lucky we are to be born in Australia during this time, even compared to 100 years ago. Free societies are amazing – so why is there a massive shift lately in wanting to change it? What if you think that what we have is actually broken? What happens then? If you take for granted what you have? The loss of historical context, and perspective relative to how others live globally, there is a loss of ability to see how good we have it. This is our demise as it is used by those in power or those seeking power. We create a non-existent problem to solve and mobilise the masses, for the benefit of those in power, or those seeking power. This will be the first in a 5-episode series which will aim to break down the real risks of socialism in detail, and just how it infiltrates a society like ours. Breaking down socialism and they methods that are used including the conditions needed to be created first. Next, breaking down the strategies used and the methods that people use to mobilise/manipulate the masses. The road to socialism is paved by those with good intentions, unfortunately just results in awful outcomes every time. I might sound crazy but this is one of the most important eps (IMO) that I will do. We are blinded due to our incredibly narrow view, and we forget what life is really like for the majority of people living around the world, or for tens of thousands of years through society. Things can always be better right? There are many people with a desire to install a system in Australia which has been proven in the past to fail every time, and this is worrying. Doing the same thing over and over again, and expecting the different results. I know politics is not everyone’s cup of tea, but it forms the rules and regulations that you have to exist under. You can ignore politics, but it won’t ignore you. Every personal finance tip I give on Finance & Fury goes out the window if a system is installed that removes your ability to do it. We are seeing this increasingly over time, like the removal of negative gearing on existing properties being proposed, the increase in progressive tax…slowly chipping away at what freedoms individuals have. From what I see in the media, it’s all a one-sided argument… so I want to present the other side for a change. Please do me a massive favour PLEASE share this episode if you don’t want to live in a country that goes down like Venezuela. I want to create a series to provide insight into the warning signs that the country is going to hell, like warning signs for a heart attack. Socialists believe this control is necessary to eliminate competition among the people and put everyone on a level playing field. Socialism is also characterized by the absence of private property. The idea is that if everyone works, everyone will reap the same benefits and prosper equally. Therefore, everyone receives equal earnings, medical care, housing and other necessities. This sounds nice, but let’s look at an example; say you have 2 people: you get 25% of $100, or 50% of $20? Socialism shrinks the pie, removes incentives and focuses on equality of outcome. Democratic Socialists believe that they can achieve this through the democratic process. But once they have it, the ‘democratic’ part ceases to exist – Once Governments get so much power, they no longer need the population to gain power, what happens then? Socialism can work in tribes of 100 people – Everyone carries their weight, otherwise you get an axe in the back of the head. Today it is the opposite: Under socialism those carrying the most weight get the axe in the back of the head first – as they create the inequality (through owning the private property) and need to go to achieve the goal. Marxists: in a hurry to come to power through direct confrontation with established governments – revolution. We have talked about this in previous episodes about Russia, and China, and I will look to do further episodes on other countries as well, exploring the patterns that play out with Marxism. Fabian Strategy: advances the principles of socialismvia gradualist and reformist effort in democracies, rather than by revolutionary overthrow. Named after Quintus Fabius Maximus – The Roman General in the 2nd Punic war – Against Hannibal (IMO 3rd best in History). A frontal assault avoided in favour of wearing down an opponent through a war of attrition and indirection. Hannibal occupied Italy for 15 years before being recalled to Carthage. This is how Western countries will fall to socialism/communism – through concession after concession. 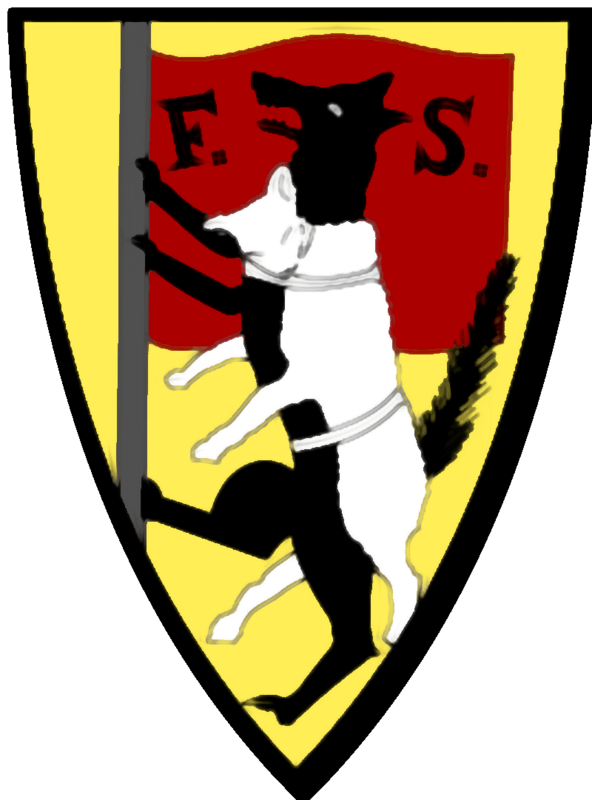 The Fabian Coat of Arms was a WOLF IN SHEEPS CLOTHING. This was a tad too telling so they replaced it with the TORTOISE with the motto “When I strike, I strike hard”. Slow and steady. Media – Eva Cox, Phillip Adams, Van Badham, plus 6 more listed on their website. Contributing to progressive political thinking by generating ideas that reflect a level of thinking that meets the challenges of the times. Contributing to a progressive political culture by disseminating these ideas and getting them into the public domain. Creating an active movement of people who identify with, are engaged in and who encourage progressive political debate and reform. Influencing the ideas and policies of political parties, especially the Australian Labor Party. Their policy is to focus on the advancement of socialist ideas through gradual influence and promoting socialist ideals to intellectual circles and groups with power. The road to socialism is paved with apathy, hopelessness, frustration, futility, and despair in the masses of people. Equality of opportunity is a free society. You can choose to work 80 hours and earn $200k, or work 40 hours and work $100k. By its nature however, freedom creates inequality because people can choose to do different things. Equality of outcome is socialism. Would you prefer to have $50,000 and someone else have $100,000? Or, you have $10 if everyone has $10? Psychology actually points to that you would prefer the later – even if it is against your own interests. It is this fear and complete hopelessness on the part of the masses which ultimately makes them relinquish all control over their lives and turn the power over to a Government. Universities and schools: The purpose is to create “fundamental change” and “social justice” was through a mass movement of the masses controlled over by intellectual and cultural elites. Propaganda – Writing things out repetitively eventually changes your beliefs. Tell a group of people they’re disenfranchised enough times that they start to believe it, then they will start voting against their own self-interest. It goes back to contributing to ‘progressive political thinking” – generating the ideas through ‘intellectuals’. All socialist movements have been driven by the intellectuals who manipulate the working class for their own benefit. Intellectuals live in an isolated bubble without real-world experience in the application of these ideas. Theory versus reality: this is why socialism sounds nice, until you see it in action. ‘But it will be different this time’ is incredibly naive and narcissistic. Free market: When ideas are applied, you find out very quickly if idea works or not. Creative destruction. Government: Lacks the feedback loop which ensures efficiency. Trying new things is dangerous to the status quo. Media – The tool used to spread the ideas and misinformation. 58% of young Australians have a favourable view of socialism, and 59% agree that capitalism has failed – Centre for Independent Studies. Mixed up thinking – Capitalism hasn’t failed, people are failing to operate under capitalism. In free market – you get out what you put in. If you get a useless degree – all you have picked up is debt. It is only in a wealthy country you can get a higher education, otherwise you are working from an early age to survive. There is a difference between absolute and relative poverty. Are people’s lives better than they were 10 years ago? 20 years ago? My heart goes out to people doing it tough – Almost everyone of these people is on government assistance – the safety net of society. Sadly though, the only way out of poverty is working and participated in the free market. The people pushing these ideas (that everyone is in poverty and we have to give them more money) are in the 1% – Bill shorten: Salary of $380k + perks = Just below 1%. Censorship: labelling people as extremists because their views are different. Overton Window – window of discourse, describes the range of ideas tolerated in public discourse – this is shifting and closing quickly. Gavin McInnes – Blocked from coming here (Labelled Nazi – wife is Native American). Why use dynamite when mass media and community manipulation through political and educational activism work so much better? “They must feel so frustrated, so defeated, so lost, so futureless in the prevailing system that they are willing to let go of the past and change the future. This acceptance is the reformation essential to any revolution” — Saul Alinsky — Rules for Radicals, prologue. Once people want something, democracy gives it to them – who doesn’t want free things? Policy creates the serfdom of individuals by central planning and taxation: If the government is powerful enough to promise everything, they’re powerful enough to take it away. Friedrich von Hayek (1944) – dangers of tyranny that inevitably result from government control of economic decision-making through central planning. You can’t keep what you earn as others might not have it. The abandonment of individualism, classical liberation and freedom inevitably leads to socialist or fascist oppression and tyranny and the “serfdom” of the individual. Socialism, while presented as a means of assuring equality, does so through “restraint and servitude”, while democracy seeks equality in liberty. Centralised planning is inherently undemocratic – requires “that the will of a small minority is imposed upon people…the power of these minorities to act by taking money or property in pursuit of centralized goals, destroy the Rule of Law and individual freedoms. There is a massive disconnect here – Voting for more stuff from others gives you less freedom in the long run. No chance of establishing itself over a people who have learned to become self-reliant, and have this feeling of self-respect, and respect for their fellow men. This is actually the strongest barrier and safeguard against Socialism/Fascism which a democracy can possess. I’ll be the first to admit how lucky I am. Growing up here, with good parents to instil the values of working hard for what you want. In the next episode I’ll go through The Communist Manifesto – As even Marx knew you need capitalism to create the wealth first, before redistributing it. The step is to use capitalism for a communist end. Say What Wednesdays: Should I lock in a fixed rate on my home loan with interest rates so low?